I make these potatoes several times a month. They are quick to make and everyone in the house loves them. Their delicate flavor and wonderful texture make them a great side dish for any meal. The garlic and thyme add a depth of flavor (and wonderful aroma) as they roast. 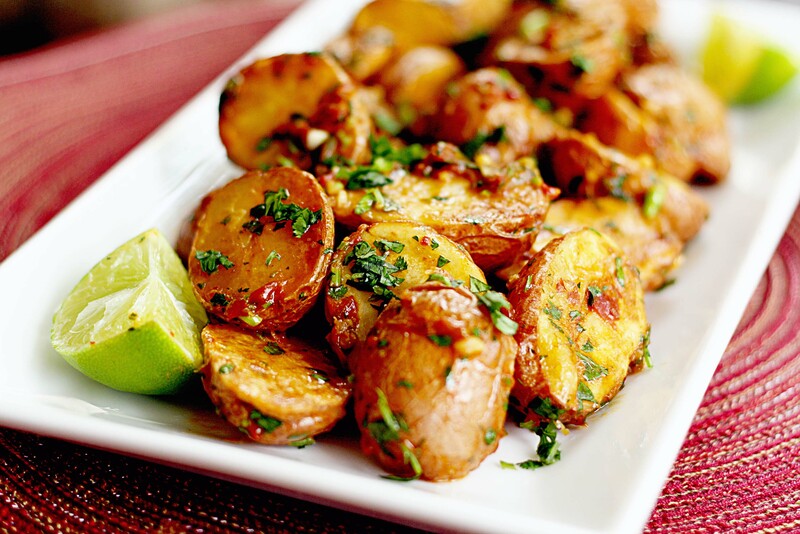 Any type of potato will do for this recipe, so buy what you like! Preheat the oven to 425 degrees F. Toss together the potatoes, garlic oil, and thyme, and sprinkle with salt and pepper. Pour the potatoes out on a baking sheet and roast until tender and crisp on the edges or for 30 minutes. Finish with fresh herbs and lime.